It's time for New Keldeo things, Dialga, Pansage, and Tepig collection viewing whatever. 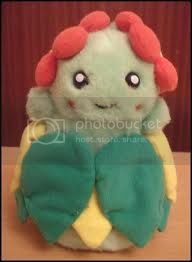 And also the plush I've obtained over the years. So prepare for a lot of images and stupid commentary ahead, sorry. Epcot Pick-Up || Last Call... and other things! Hey there! I've got some business to take care of before I head off to Florida this weekend! Strangely, it's all Pick-Up related...! First off, thanks so much for those in my Epcot Pick-Up for the quick payments! I really appreciate it! Also, thanks so much for your tips and words of support - I mean a lot! Sorry it took so long for me to finally post this - with the East Coast power outage last weekend, my lappy being a pain in the tush with its BSODing and black screens, and my hands being busy on completing Guardian Signs [OMG is there any Ranger merch out there? I now want some. ...No really, I do.] - but I had to tell you all thanks! Secondly...To rodry99: I have yet to receive payment from you for the pick-up! I'll be nice - since this is my first pick-up and all - so I'll extend the deadline, in case there's some reason why you're unable to contact me. Please check this post for the spreadsheet and directions for payment! I can only give you until July 11 [Wednesday - the day before the pick-up] to send your payment so I can get your pokedolls or else I will leave negative feedback! If anyone knows him(? ), please pass this message on! Thanks! Thirdly, I'll be sure to update you all in a post next Thursday [7/12] and/or Friday [7/13] when I do both of my pick-ups runs. 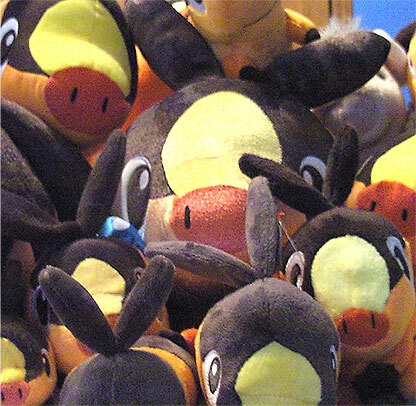 In case you're wondering, it'll be two runs - the first will be for all plush, including the rarer/limited quantity pokedolls, and the second will be a second try on rare ones [if necessary], a backup run [for those that are unavailable and asked for as backups], and for my own personal gets. 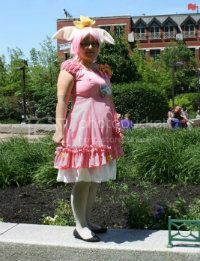 I will be taking pictures so you can see what your plush gets look like! And lastly: to anyone that needs to contact me during this upcoming week, I will be able to get online at least once or twice a day at the least, so send me a PM or a comment to this post if you need a payment or feedback from me! I'll be back next Saturday [7/14], but those involved in my Pick-Up should expect to see shipping quotes sometime after that; refunds, if I need to, will be done during next weekend, but I should let you know in advance if something's not available. Okay, that's finally it! Thanks for reading! Does anyone know where I can get a large poke ball beach ball? I really want a poke ball beach ball, and I am not really particular about WHICH kind of poke ball it is, but I like Poke ball, Great ball, Master ball, Dive ball, Net ball. But their diameter is merely 9.5 inches, and that is just TINY! I want a big beach ball that I can be awesome with =D but I will probably get the smaller ones too, does anyone know if there are cheaper listings than those? THANKS SO MUCH!!! i have many many new things, but only maybe three are exciting to anyone but me. still!!! the exciting ones are exciting!!!!!!!!!!!! A PREVIEW!!! please reload before reading through the post BTW! i upload over old URLs all the time. which has been updated. mostly i would love to shift some of this stuff off as it has been there FORREEEVVVEERRRR. if you have any DO let me know. yes...the luxray pog is on there... and i also have some extremely rare raichus i would trade for other extremely rare raichus. check it all out there! 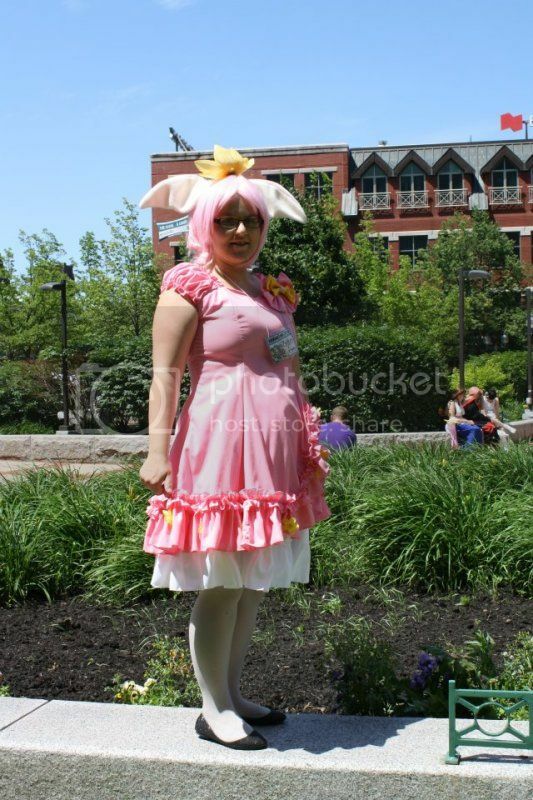 as per usual, you can check out my entire raichu collection right here. aaaand i have got all that crazy movie stuff for sale still! Crochet Plush Commissions- Now Open! My crochet plush commissions are now open once again! We'll go for three slots at this time, and as always, its first-come, first-served. (In the event my slots fill up, I may open a waitlist.) Please click the banner above to see my commission thread, with all the information on how to order and all that good stuff. :3 I'll only accept commission requests from that thread, not this one. <3 Please be sure to read all the rules and guidelines! Shipping notice + Terrakion goodness! Good afternoon, fellow collectors! I have two announcements. To those that have purchased from me: I have all of your packages ready, and they will be sent out tomorrow. I am terribly sorry for the delays in shipping, but everything will be on its way very soon. Thanks so much for your patience! I have also added a few items to my sales, so please take a look if you'd like! Click the banner to go to the post. Now, to make this post a bit more exciting, I have a collection update! Please be warned that the images below the cut are very large! sales update time + 2-day tcg sale! I will also be having a 2-day sale. This is sort of a trial just to see how it goes, I may do them more often, or keep it as a permanent sale. Something to try to clear out a bunch of cards at least^^ I have... tons currently^^ Anyways, until July 8th at midnight, I will try out this sale. Sales and Collection update: Waza and giant booties. Hey guys! Just a quick reminder that my auction of a custom shiny torchic pokedoll ends tomorrow (in about 28 hours)! Also sales plug while I'm here! And a super quick collection update! Hi community, I hope everyone is doing well. <3. I hope this post isn't too boring! I'll be posting some new gets in a few days, and they are quite lovely :). First, since I could not contact cluw to get them to pay for the second payment of the pichu & friends GA, I'm offering him here to the community. He's only 20$ shipped including all fees. Only to the US only please! I'll haggle, just because I don't really know what he goes for. I have him all packaged and ready to go to a new home, and will ship him tomorrow if someone buys him today! He is super soft, (I believe made out of minky) and has all his tags and it's like brand new, I can't see anything wrong with him! He is about a foot tall from the bottom to the top of his little fur thingy on it's head. 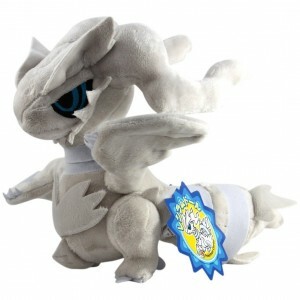 Also, is the Reshiram DX pokedoll on Amazon legit? I am thinking of getting one, but I think I see a bootleg on eBay. 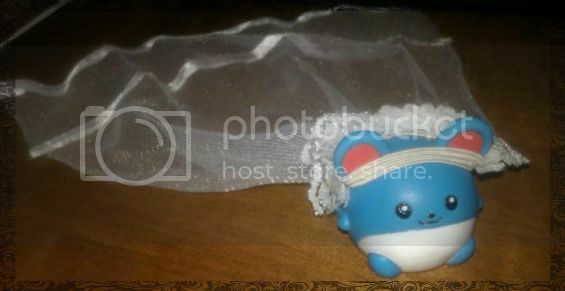 I'm not sure, I don't even think they made bootlegs of his pokedoll. Anyways I just want to make sure he is legit before I spend 50 dollars on him :). Also a Reminder for the Block Tomy GB which ends by the end of today! 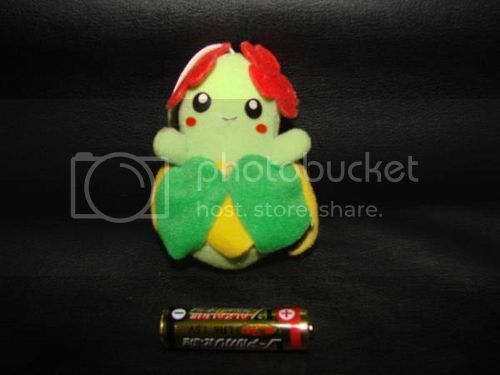 All we need is for someone to claim the pikachu and its all good! 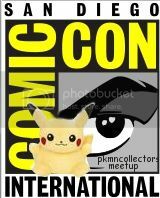 San Diego Comic Con Pkmncollectors Meetup reminder! Hey everyone!! Before I head off to make plans and reservations, I would like to make sure everyone's aware that this meetup is open to all pkmncollectors that will be in the San Diego Area on Friday, July 13th. So far, the only thing I've thought of is going out to dinner after most panels at the convention are over..but I'm completely open to suggestions as well as restaurant recommendations in the downtown area. 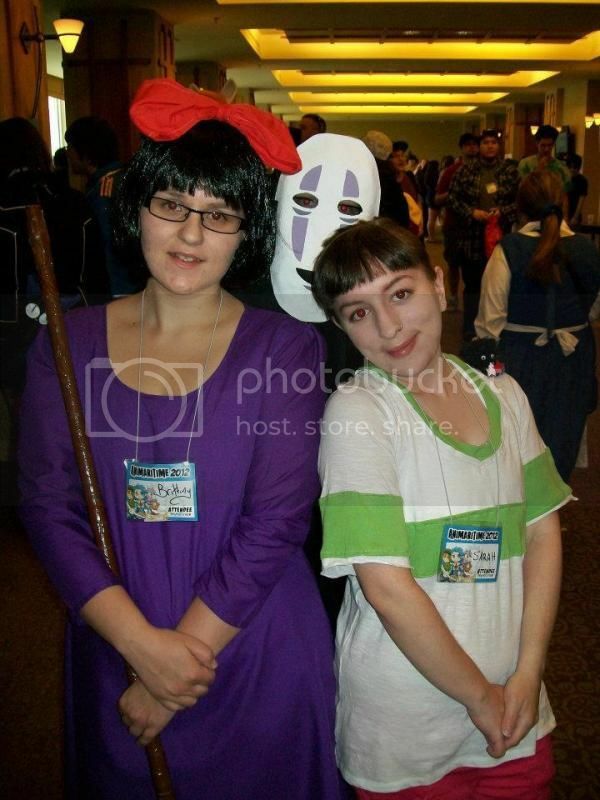 Thanks for reading, and keep an eye out for a followup post right before the convention!! EDIT 7/11/12 8:54 AM PST: Sorry for the lack of update guys! I got in contact with a restaurant that does take reservations (you'd be surprised by how many that don't! ), and will be hearing back from them around 10:30 am. Just know for now that it will probably be around 7 PM hopefully at Sammy's Woodfire Pizza in the Gaslight district. Feel free to bring along a little pokemon travel buddy (I'll be carrying one of my canvas plush) or any pokemon games of your choosing. It'll be fun! Keep an eye out for an update later today! Also, I'm really sorry for the shipping delay for anyone who has purchased from me recently. Things have been hectic here with tornado watches and power outages but everyone's stuff is packed up and will be mailed out ASAP! One last thing. 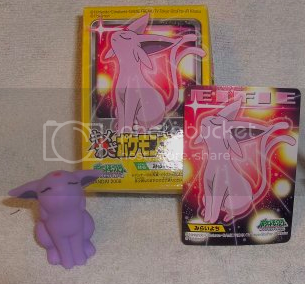 Is anyone going to do pickups for the big I <3 Eevee plush or the August set of Kids with Zoroark in it yet? Anyone has any 9-pocket portfolios they wish to get rid of? I currently have quite a few but looking for more... I would like to find the 9-pocket Power Keepers one but I let one slip away 2 weeks ago.. bah. Portfoilios I already have are all the BW ones, DP Stormfront(Gyarados), Call of Legends(Lucario), Platinum RisingRivals(Rhyperior), Platinum Arceus (Arceus), Platinum (Giratina), HGSS(Feraligatr), HS Triumphant(Nidoking), Platinum SupremeVictors (Milotic). On teh way is a HS Undaunted(Umreon) one as well. If anyone wishes to middleman, I found two on amazon.com that I would very much like getting! 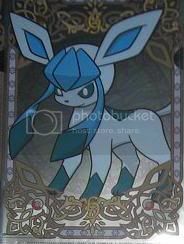 Oh, and if anyone wants the HGSS Undaunted portfolio, there are some up on ebay, the one with umbreon/espeon! HEAVILY REDUCED Rare/Promotional Posters & Flats Sales! A.K.A. "get moltres93 and Yelsha42 to Hawaii for Worlds this year!!" sales. I want it all gone, and I'm willing to give big discounts for larger orders. Everything has been heavily reduced, and there is heaps of free stuff too!! Okay, I keep seeing the pretty Pokemon cookie tins for sale, and they are absolutely gorgeous, but I never see any of the actual treats for sale. ;___; I'd really love to try some, however! I'm not wanting candy at this time, though. Just cookies or pan/bread or whatever else they've made! Basically, if it's a carb, I want it. <3 I'd like it to be somewhat new, however, as I'd like to actually eat them. 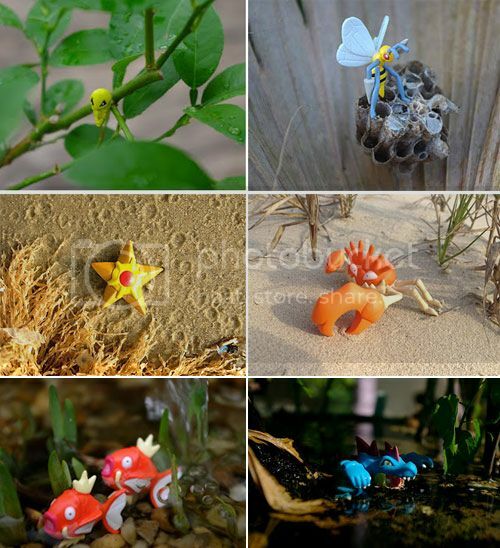 (: If anyone has any of these for sale, please do let me know, as I would really enjoy having some. Thanks so much! Payment 2 due and leftover sales for everybody! First, the Multiple charmanders GA that we wanted to host got cancelled, simply because we didn't know that the seller was a banned member on this community. So the GA is cancelled and won't be hosted anymore! Please read the rules first, before sending me the payments! Now to the extras sales! These are open to participants and ALSO non participants!! Be aware, that some are in great condition, and some aren't! 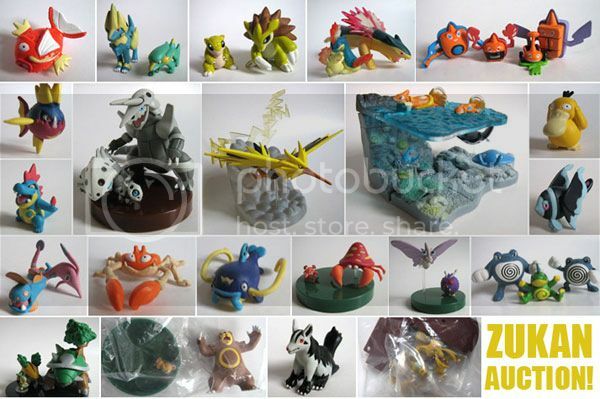 i am SO JEALOUS of starter collectors right now!!!!!!! this campaign flashed by my TV for about 1 second, blink and you'd miss it, after the anime tonight. we thought they were shiny, but were they? people on twitter were all like whaaa? was that shiny? AAPF and i searched around to no avail. 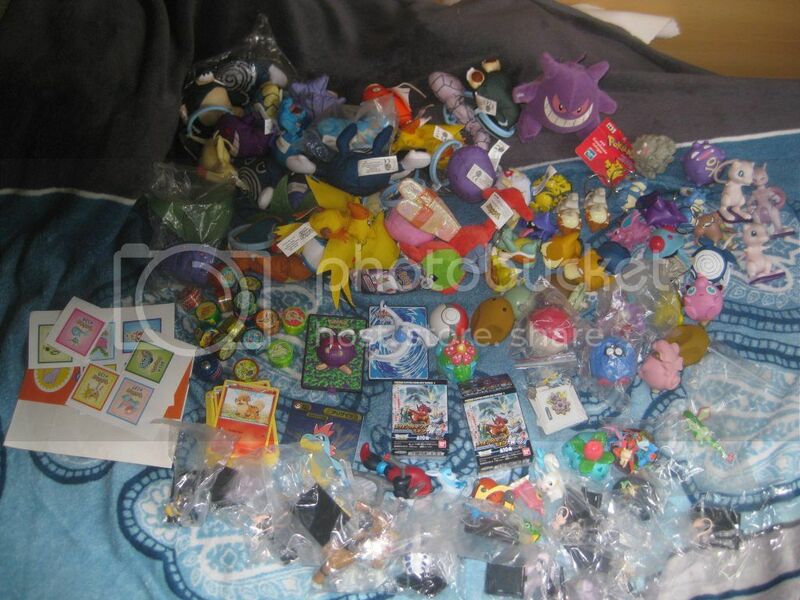 my friend serebii saw my problem and got us this amazing HQ shot of the 1000 limited shiny starter tomy plush campaign set!!! now discuss! 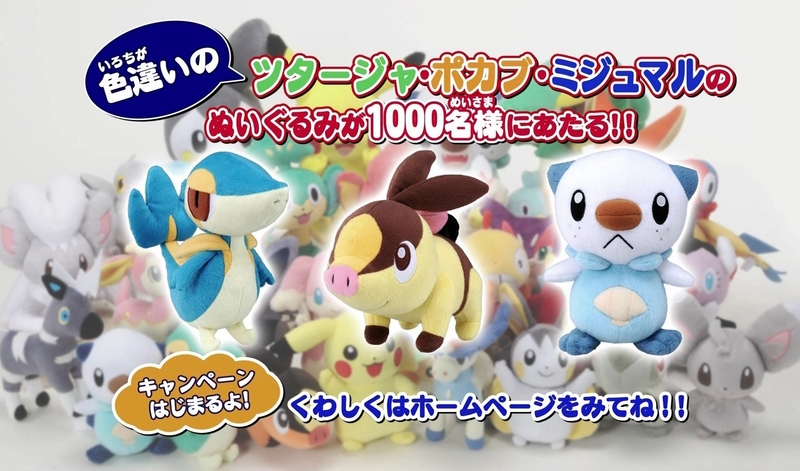 the 7, 8, and 9th shiny pokemon plush ever made! I keep seeing these tiny figures in one of my favorite toy shops...and I just can't ID them. And then there are these, from my own collection. The bottoms have the name "Subarudo". Can anyone tell me more about these? But I do have some money and I'm looking for cheaper prices for a canvas charmander plushie, a pokedoll cresalia, and a spheal either pokemon center or hasbro plush, and the pokemon center squirtle. 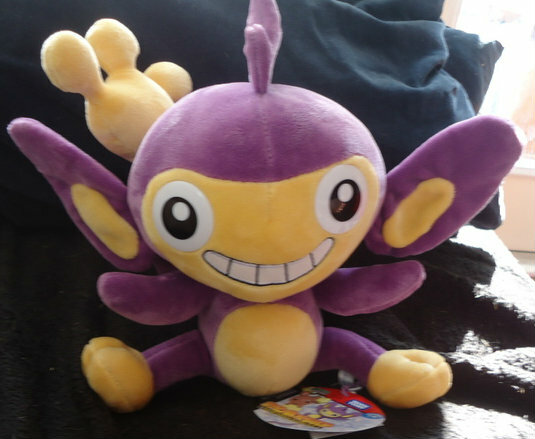 I'm also looking at non-pokemon merch like neopets plush/figures/bag/notebooks. Also want a suicune phone keycharm. For tomy's i am seeking leafeon, togekiss, reshiram, ponyta, gastly, lumineon, magikarp.